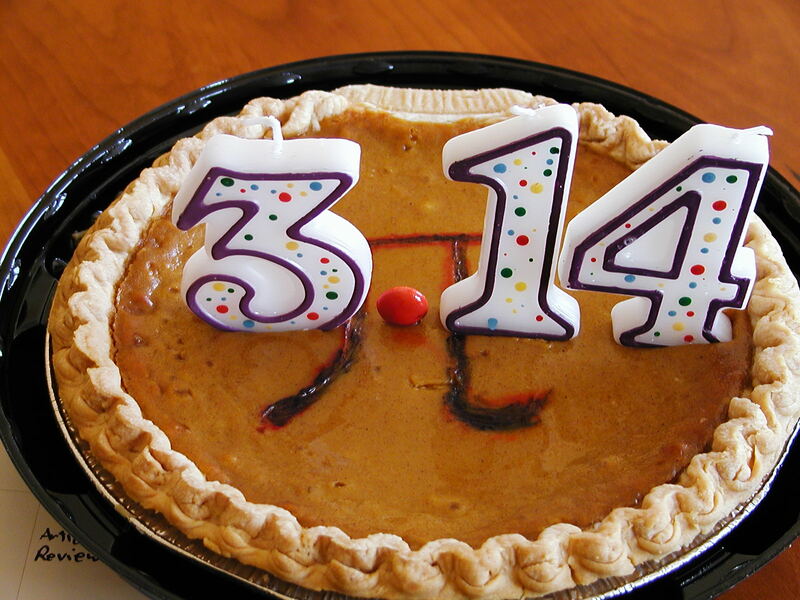 The Pi-Day is the national day of Pi ! 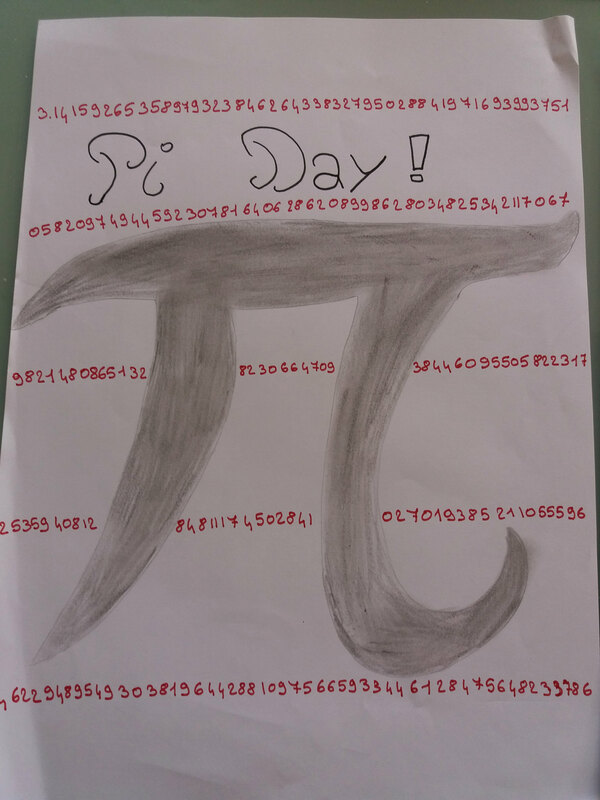 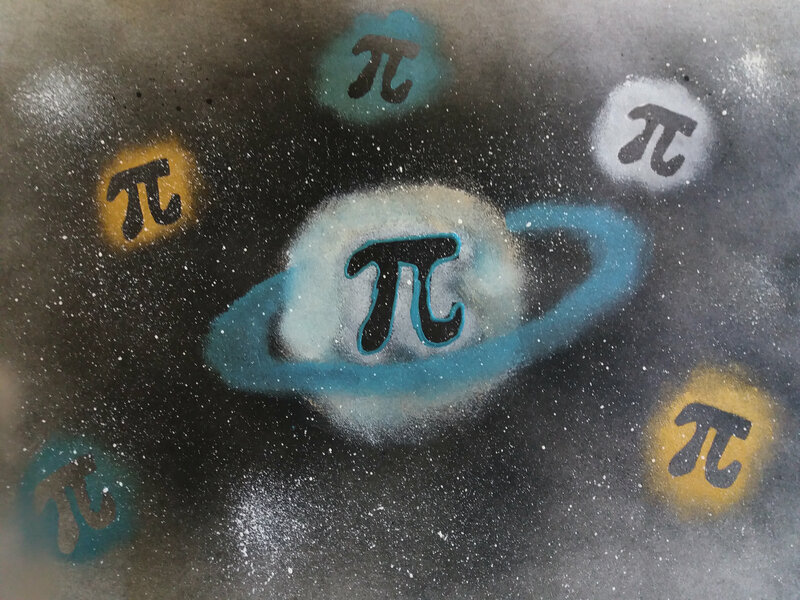 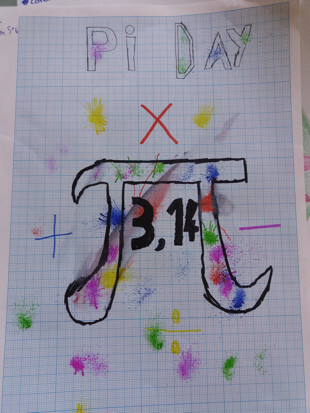 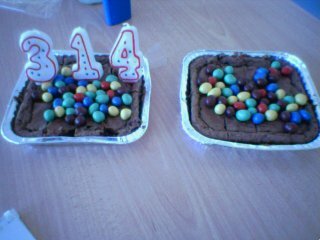 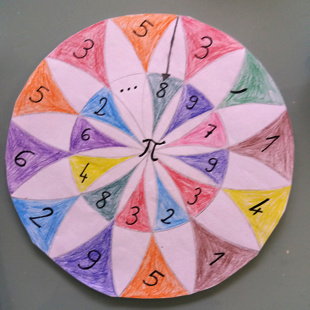 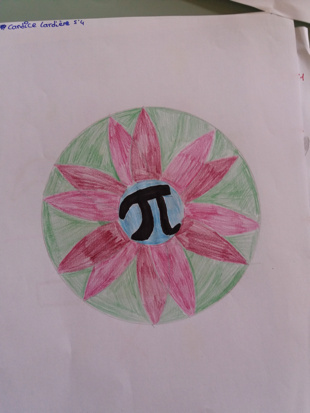 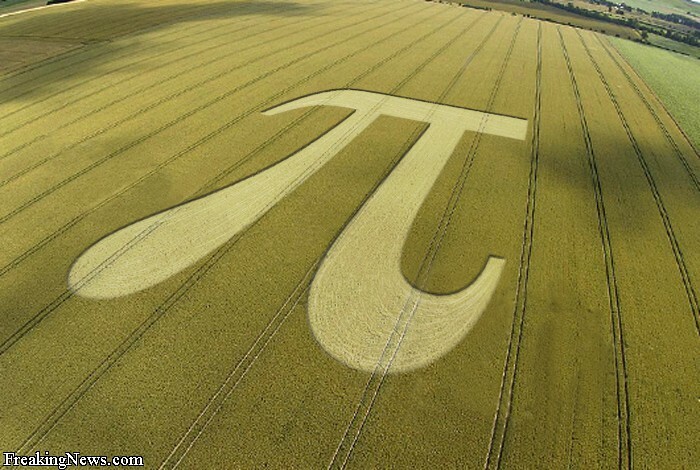 Each year, on march, 14th (3/14, ha ha ha), fans of Pi meet to promote and celebrate our favorite constant. 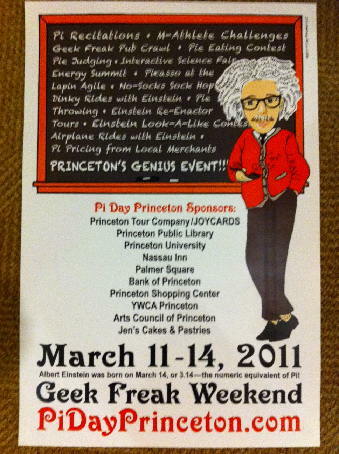 Here are a few pictures, videos and amazing events per year. 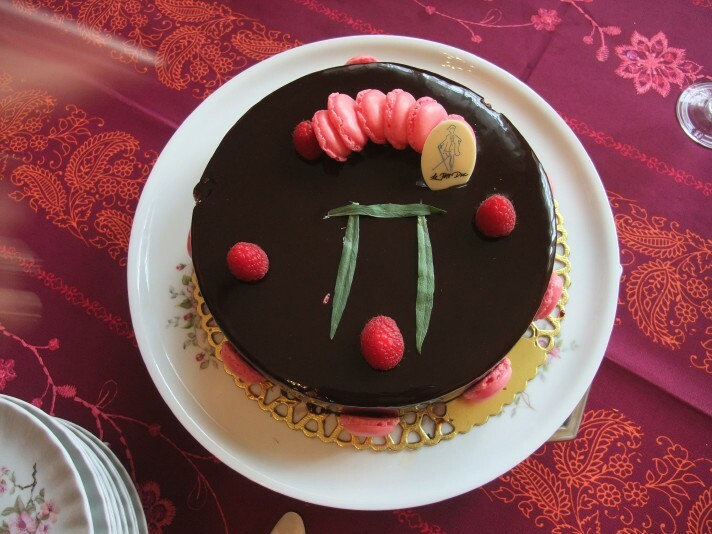 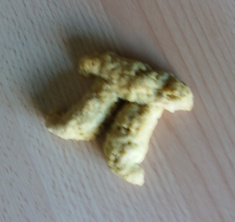 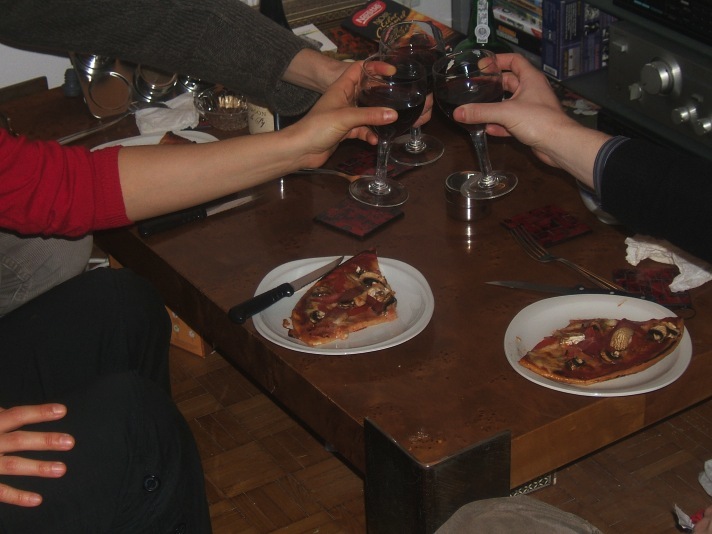 Then a few pictures of my own modest Pi-Days, (click on pictures to get a bigger one). 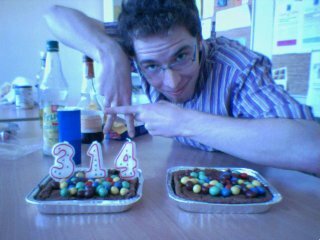 If you have contributions or links, do not hesitate, please contact me ! 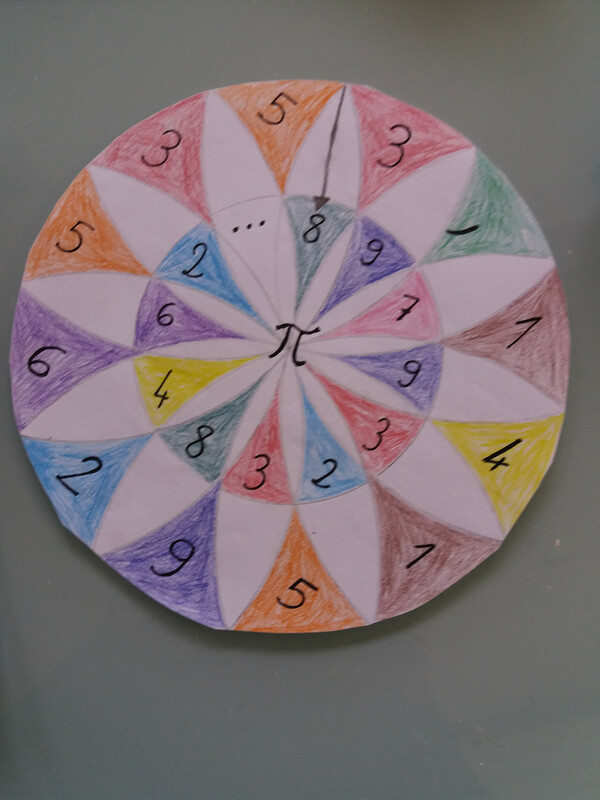 I'm just starting to compile stuff and filling this page, many other anecdotes/pictures/videos to come in the next few months ! 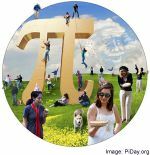 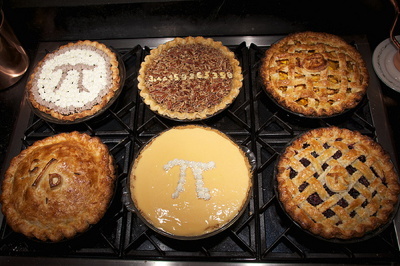 The first Pi Day celebration was held at the San Francisco Exploratorium in 1988, with staff and public marching around one of its circular spaces, then consuming fruit pies (Wikipedia). 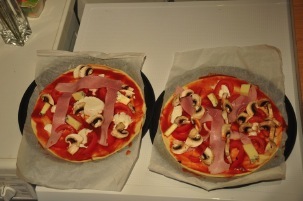 The museum has since added pizza to its Pi Day menu. The founder of Pi Day was Larry Shaw (on the right), a now-retired physicist at the Exploratorium who still helps out with the celebrations. 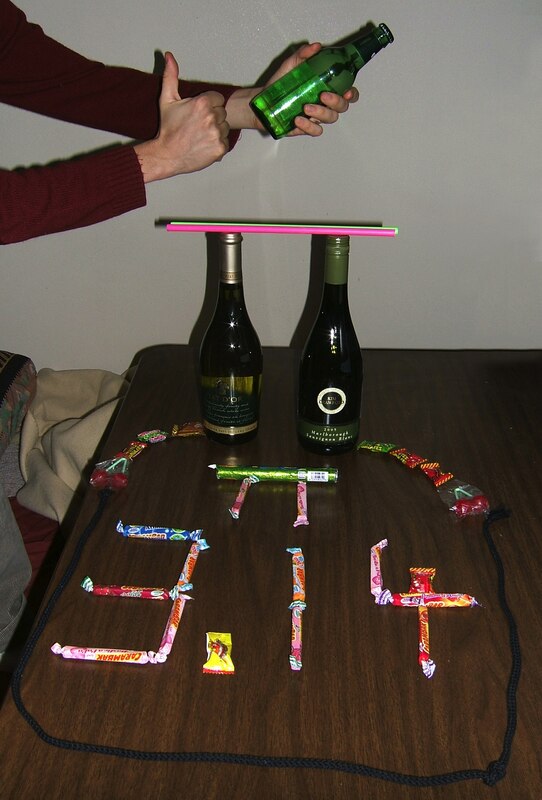 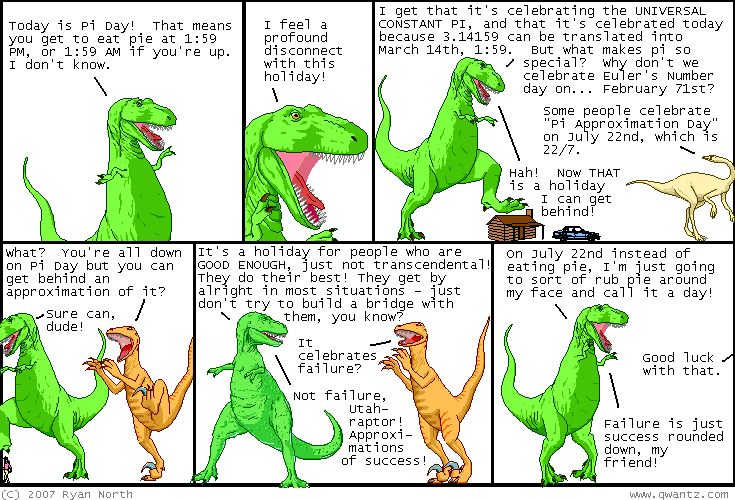 Theoretically, the celebration exact time is 3/14 at 1:59pm (the so-called Pi Minute !) 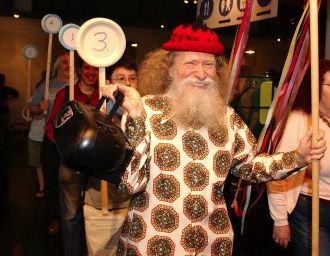 but many other interpretations have been proposed and the crazier, the funnier regarding this event anyway ! 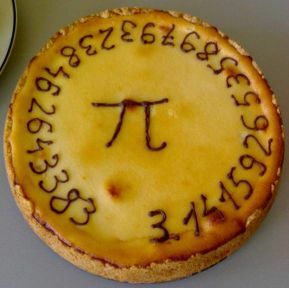 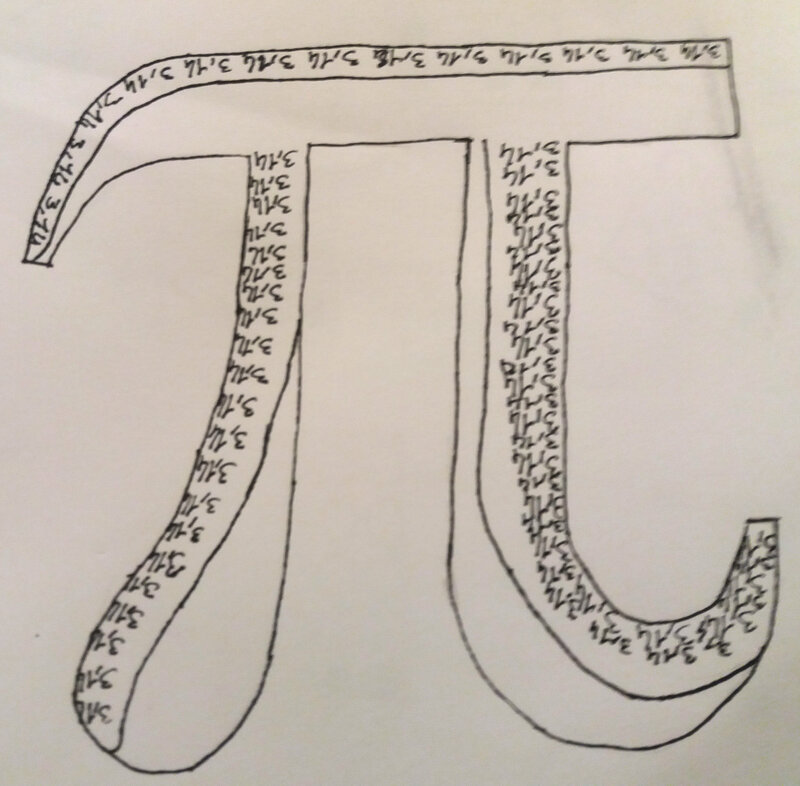 For instance, some people have proposed to celebrate the Pi Day on July 22 because written in the European date format as 22/7, it is an approximate value of pi closer than 3/14 ! 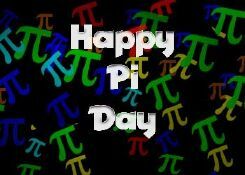 The american congress even passed a non-binding resolution on march 12th, 2009(HRES244) recognizing the march 14th as the national day of Pi ! 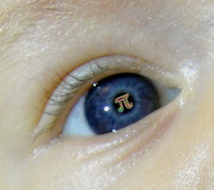 Yes, absolutely, see the proof here. 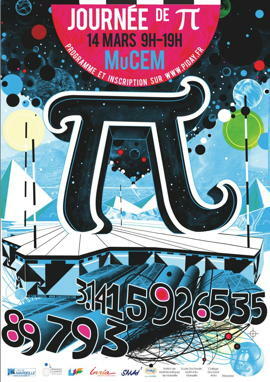 La journée de Pi - Conference at the MuCEM in Marseille (France) ! That was on March 14th, 2015 at 9am and that was an unforgettable day full of maths, games, fun, poems, music, magic and so on ! 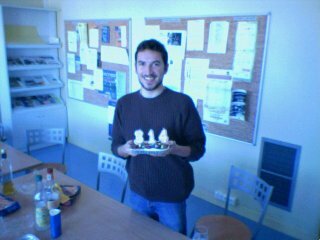 Also a talk by Simon Plouffe !! 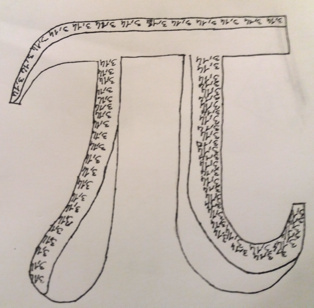 This is their website. 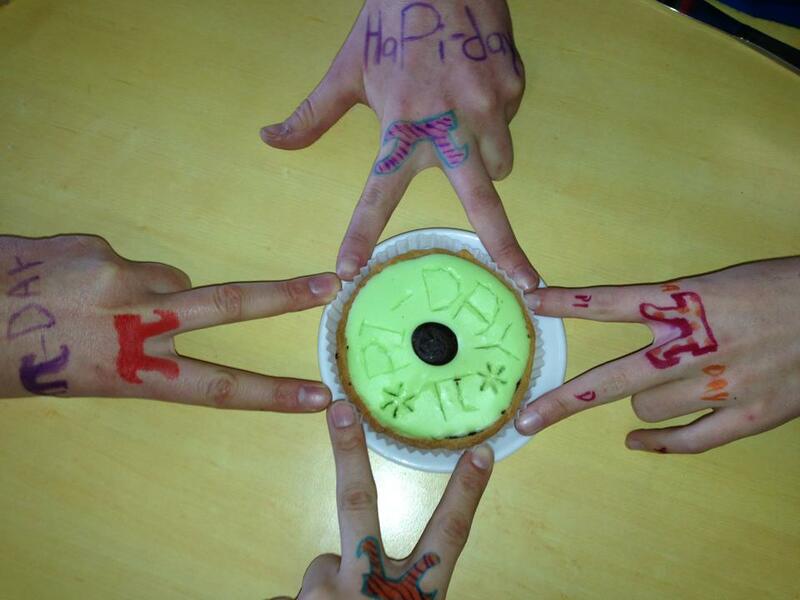 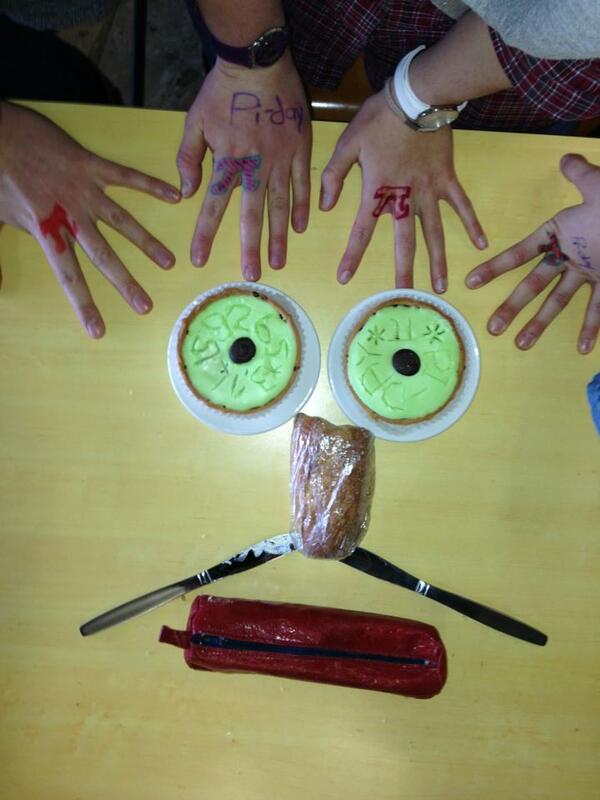 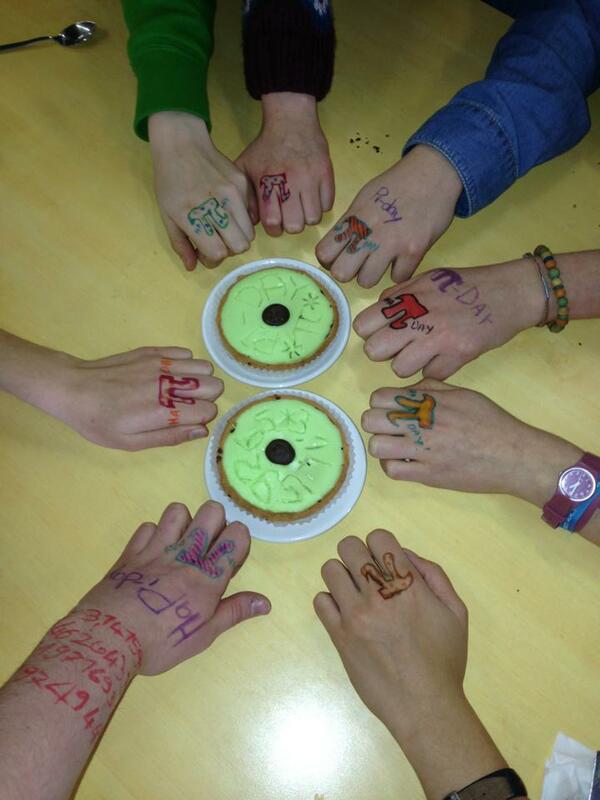 Tatoo-Pi check by Emilie and friends! Caramel-bottomed Guiness Chocolate Pi ! 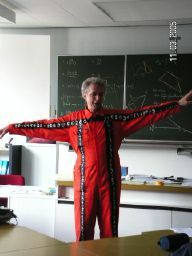 A half-marathon as loops in both directions and nicely dubbed River Rotation, beautiful idea ! 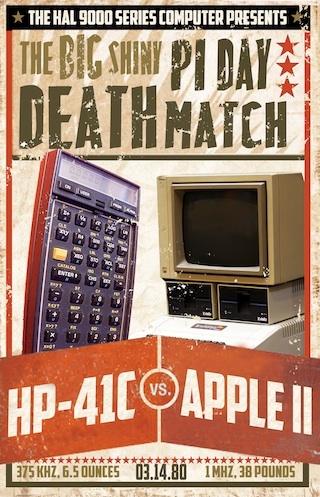 A computation contest between... an old calculator and an Apple II ! 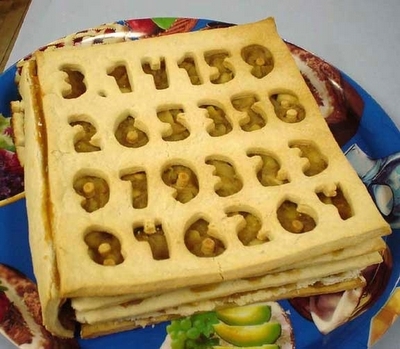 And 41 hours to compute 1000 digits of Pi with the Apple computer, tough time for it ! 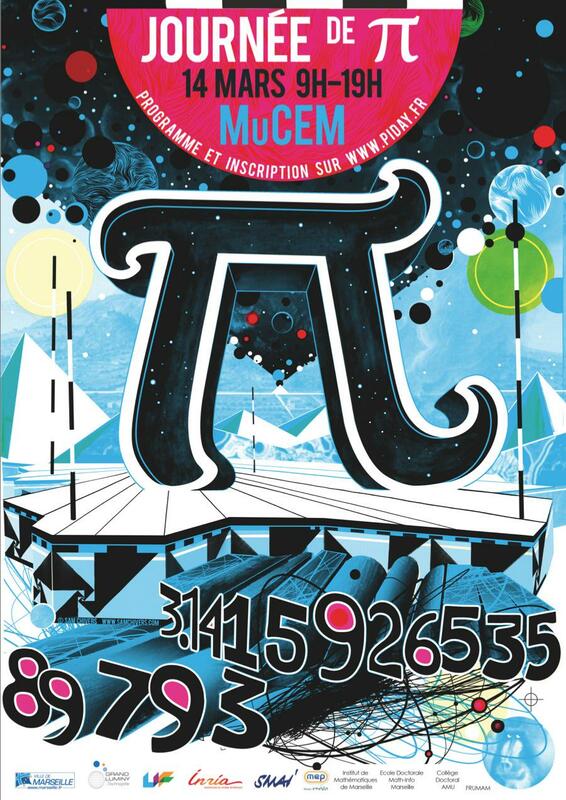 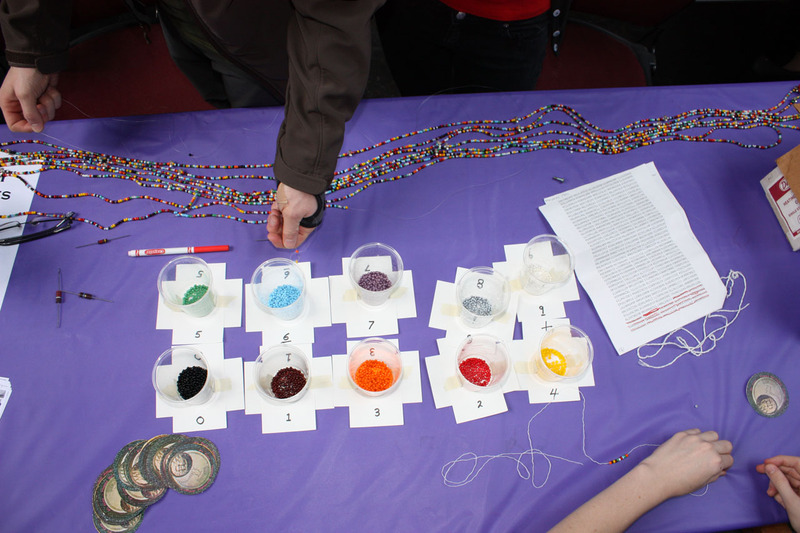 San Francisco Exploratorium - The necklace in Pi digits, what a great idea ! 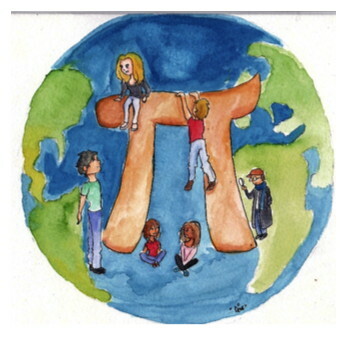 Song (Video, English): Pi Day Song ! 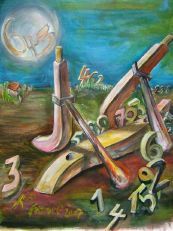 Song (Video, English): Pi Rap Battle, Lose Yourself in the Digits The friends of number Pi (german). 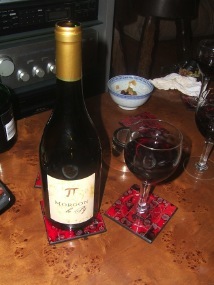 Great chair ! Rap, big time of bad taste Well done, good quality, great ! 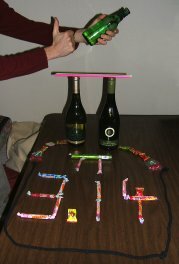 An anthem ! 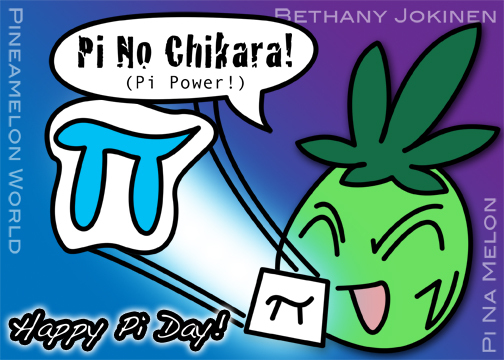 brainfreezepuzzles - Pi-Day Sudoku !! 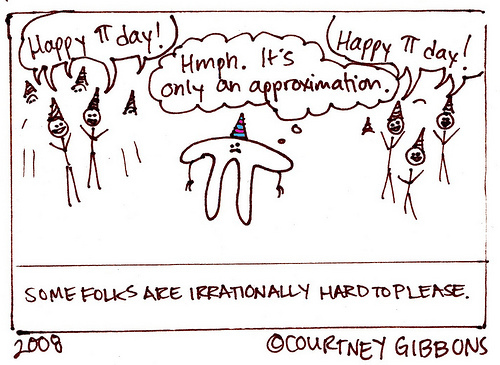 Pi Day Cartoon, quite funny ! 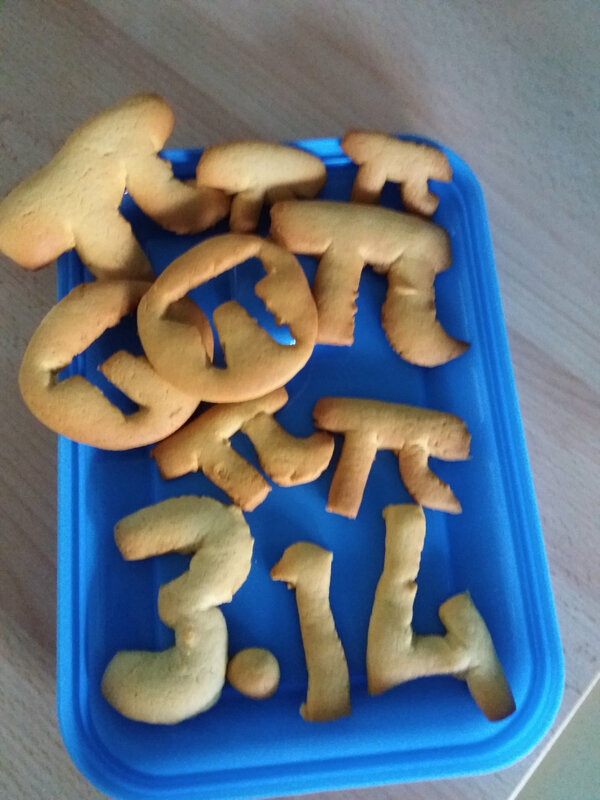 Washington State University - Dept Mathematics - 3rd pi Day - Pi Cookies ! 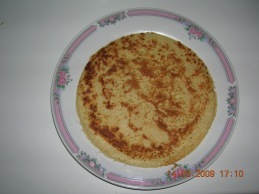 And from a friend on the Internet (Yves de Lombaerde), a crepe/pancake (circular of course !) dated from the Pi-day !